Why Do You Need a Forex Trading Plan? When it comes to Forex trading it is essential to maximize profits and limit losses in any way possible. One of the best ways to do this is to have a carefully thought out trading strategy and to stay disciplined throughout the trading day. While it can be tempting to enter the markets on a whim, here are a few reasons why a tried and tested plan is absolutely necessary. A trading plan helps to keep emotions like fear and greed out of the decision making process. It also prevents feelings of jealousy and revenge from kicking in. If you ignore your plan and incur multiple losses, this could negatively impact your confidence and your bank balance. As a rule, you should also not replicate another trader’s moves just because they seem to be making successive gains. That trader will have their own trading plan which might not be suitable for the currency pair you’re involved with. If you do want to mirror the strategies of another trader, make sure you research thoroughly and don’t act based on emotions. Personal decisions have taken down many great players in this market. A trading plan will help you stay on the right path. Does your trading knowledge measure up? Check out our Learn Forex Basics! When it comes to trading, you must decide which currency pair you’d like to trade. This requires extensive research and market analysis. You will have to determine the pair with the highest liquidity. The amount of capital you have will also have a role in this. It is necessary to not put all your money in one trade alone. Dividing your capital into smaller amounts, to be placed in multiple positions, will act as a portfolio diversification mechanism as well as a risk management tool. Beginners, in particular, should take extra caution not to place too much emphasis on random short-term trades. You should also have knowledge of the instruments you wish to trade. Look at different assets in the market, including futures, options, CFDs and such like. There are plenty of choices and you have to familiarise yourself with the mechanism of each, before you make a decision. A factor to consider here is whether you are a full-time trader or a part-time one, a short-term trader or a long-term one. When deciding on your trading strategies, keep in mind the country-specific, geo-political news and economic releases. There are times when significant developments in the political arena trigger volatility in currency prices. Economic calendars will keep you informed about the important dates of economic news releases. With regards to technical analysis, it is important to determine the trading platform you want to work on. MT4 and MT5 are among the best platforms available today and they come equipped with their own range of technical indicators. Use these tools to determine your stop-loss and take-profit levels, since these are crucial risk-management tools to apply in every position. A demo account is the perfect option for both beginners and experienced traders to test their trading strategies before applying them in the live markets. So, choose a broker that offers demo accounts. Finally, it is wise to mention that losses are a regular part of the forex game. The key to success is to learn from your mistakes and come up with better strategies for the future. 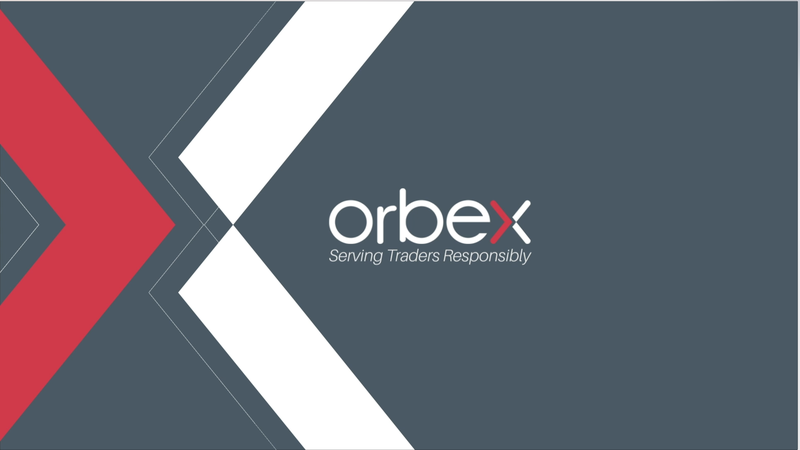 At ORBEX the trader is our greatest asset. We provide access to trading FX, Futures, Metals, CFD’s and Commodities on MT4 and word-class customer service.